Aren’t all vitamins the same? Why can’t I just get the cheap ones? Don’t they all do the same thing? These are very good questions and ones that we frequently hear, so I put together this chart to show you the difference in vitamins that you may be purchasing. Test Tube or Synthetic (Usual drug store or discount store vitamins)–made in a test tube in a lab, to resemble the real thing. This is toxic to the body and does more harm than good. 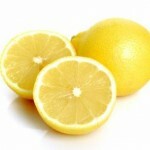 **Imagine a Plastic Lemon from the store with juice in it. This type is the Plastic lemon with NO juice. That is basically what you are eating if you take these. Can actually be more harmful to your health to take! 2. Crystalline or Extracted (**Usual health food store variety)–these start out natural, but are heated through the processing, so all live enzymes are killed. You end up with a partially live vitamin, if live at all. Most of these have harsh binders and fillers, plastic coatings, and some contain tar. 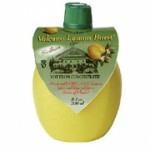 **This is the Plastic Lemon with juice. IF you can get past the plastic coating, there is a little bit of real stuff in there. However, the juice has been heated so it’s not really like drinking it fresh squeezed. 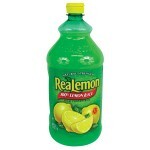 **This is the REAL lemon…unaltered and fresh. What’s inside is alive and natural. **X brands need only 10% natural ingredients to legally be classified as “All-Natural.” Shaklee food supplements are 100% natural!